Three residents of the Western Galilee were charged yesterday with trying to carry out a shooting and stabbing at Shaar Shechem in Yerushalayim and a shul in Akko. 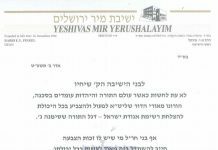 According to the indictment, three men went to Yerushalayim armed with knives, intending to carry out a stabbing attack at Shaar Shechem, harming soldiers or Jewish civilians. Eventually, the planned attack didn’t materialize because they failed to obtain a firearm, and they were only armed with knives. On the way back to their village, the three discussed the possibility of carrying out a shooting attack in Yerushalayim. 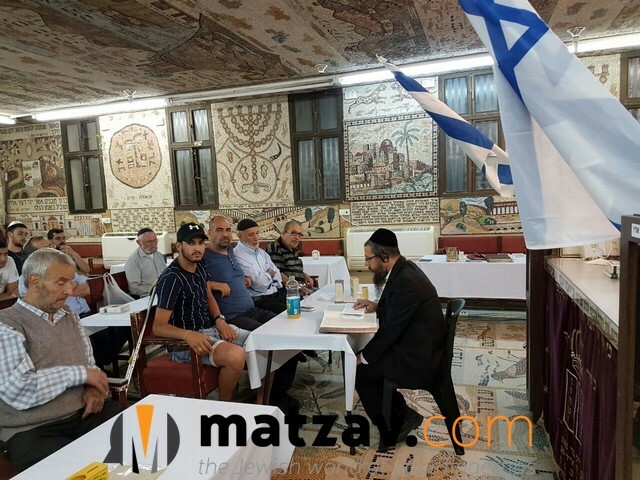 A few days later, they met at their village mosque, where they talked about the possibility of carrying out a shooting attack against soldiers in Yerushalayim. Ultimately, a few weeks later, they decided to carry out a stabbing attack in the Akko shul in order to kill Jews, using the shul attack in Har Nof, Yerushalayim, as inspiration. One of the terrorists toured Akko and located a shul near Rechov Ben Ami. He returned to his home in order to obtain a knife and planned to carry out the attack during Maariv, but when he got home, he decided not to carry out the stabbing attack, but a shooting attack,m using weapons to hit as many Jews as possible. He began saving money for the purchase of weapons. This past March, one of the terrorists obtained a submachine gun with four bullets and more. On April 25, security forces found their hiding place, where they uncovered a submachine gun and cartridge. 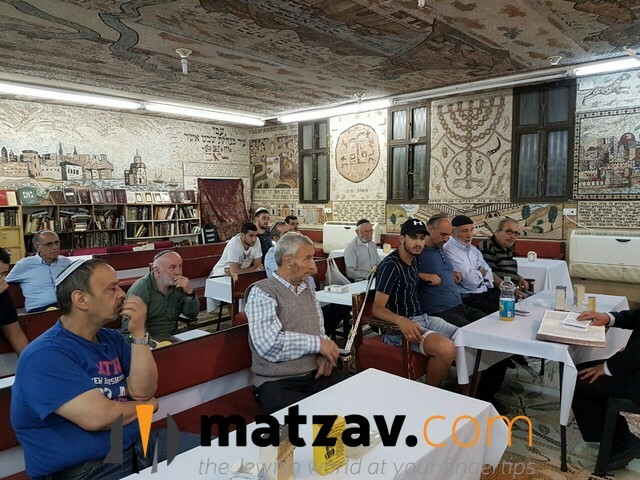 The shul, Beit Knesset Ohr Torah, on Rechov Kaplan in Akko, hosts Rav Shimon Chazan of Lev L’Achim’s shiurim to teenaged “mitchazkim” and working men. Undoubtedly, the merit of Torah is the true story behind the salvation of this Akko shul and those who come to daven and learn there. Below are pictures taken yesterday of the learning continuing there. Its so nice that matzav speaks for god. So tell me when was nevua reinstated? Couldn’t you use a capital G, are you trying to be some kind of an apikoires – sorry, that requires some minimal education – am hooretz might be more appropriate! What did Matzav say wrong? If you are referring to “Undoubtedly, the merit of Torah is the true story behind the salvation”, that’s not a pretend nevua, that’s based on words of CHAZAL. Because sometimes people post fast and their is no halachic obligation to to post a capital g. First off hebrew has no capital letters so their would be no origin for this prohibition. And Second God is a non descript word in english and it can mean one thing to one person and another to another person. Talking about your apikuris comment. 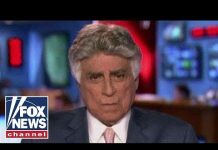 Quite frankly you must be very young to not have heard of being dan lekaf zechus! While i was just pointing out a very simple logical flaw in the authors conclusion. You came out with your vitriolic acid and aimed it where you pleased. And finally what do you have to say about the har nof massacre? Nuu…. ? *Crickets chirp* ?? 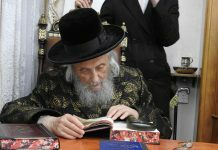 Every week matzav posts about Rav Moshe Twersky do you overlook the logical misteps in that previous conclusion? How do you understand the massacre in the shul in Har Nof? Exactly!i was gonna post that but didnt get around to it. When a mosque caught fire, the Judenrat and the “Accuse other Yiden of Chilul H” Club went berserk in their persecution of the alleged Jewish perpetrators and their kissing up to the islamonazis. Where are the representatives of the Arab community condemning this vile attack?! Hear the crickets.